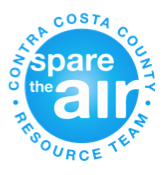 The Contra Costa County Climate Leaders (4CL) program is a network assisting the county and its 19 cities to inform, support and encourage the measurement and reduction of greenhouse gas emissions. Through education and sharing of best practices we will ensure sustainable, healthy and livable cities. Community Choice Energy (CCE), also referred to as Community Choice Aggregation (CCA), is the practice of pooling consumer electricity demand within a region for the purpose of procuring energy and selling it to customers. The existing energy utility (PG&E) remains responsible for transmission, distribution, and billing. The most common reason for jurisdictions to pursue CCA is to promote electricity generation from renewable energy sources and offer consumers a choice in purchasing electricity with potential opportunities for cost savings. Currently 14 cities and the County of Contra Costa (representing only the 185,000 people in unincorporated CC) have until June 30 (deadline has been extended from May 31) to make a decision as to whether they will choose to join East Bay Community Choice (EBCE, the new Alameda County CCA program, or MCE Clean Energy as an energy supplier (offering 50% or more renewables) to their residents and businesses. The other energy option is stay with PG&E the current supplier which offers only 30% renewable energy. The County and the 14 cities have partnered to commission a Technical Study of CCE in Contra Costa County. The study is now complete and the report is available here. In December 2015 three information workshops were conducted on Community Choice Energy in Contra Costa County. Here is a line to a CCE presentation given at the workshops: Click here. This is one of the most important things we can do to keep fossil fuels in the ground. Cities are taking advantage of this timely opportunity to reduce their Greenhouse Gas Emissions (GHG). Please make sure YOUR City is providing you with the best choice! Residents will still be allowed to choose PG&E but to do nothing means having no choices. Numerous cities in Contra Costa County already have given their residents a choice for renewable energy: Danville, El Cerrito, Lafayette, Moraga, Richmond, San Pablo, and Walnut Creek, as well as Unincorporated Contra Costa County. The remaining cities have a number of meetings coming up. Please attend these! Let them know that they should learn more about EBCE and MCE and which is the best choice for their residents, but to do nothing would limit their residents to PG&E as their only choice. Several Contra Costa cities have not put it on their agenda for consideration for their residents! Those cities are: Brentwood, Clayton, Hercules, and Orinda. If you can not attend a meeting, write or call your elected officials to share your opinion. To receive notifications about upcoming workshops and meetings, please click on the link below. Click here to receive CCE email notifications or visit www.cccounty.us/cce. “Solar Energy In Cities: Increasing Rooftop Saturation” Workshop To Be Held on March 8th! Please join us for our upcoming Transportation Workshop on August 30th. Click here for more information on Sponsorship Levels! As concern over plastic waste grows, researchers are raising red flags about another problem: plastic's rapidly growing carbon footprint. Left unchecked, greenhouse gas emissions associated with plastics will be nearly four times greater by mid-century, when they are projected to account for nearly one-sixth of global emissions. Not all plastics have the same carbon footprint, though. What they are made from, the source of the energy that powers their production, and how they are disposed of at the end of their life cycle all make a difference.